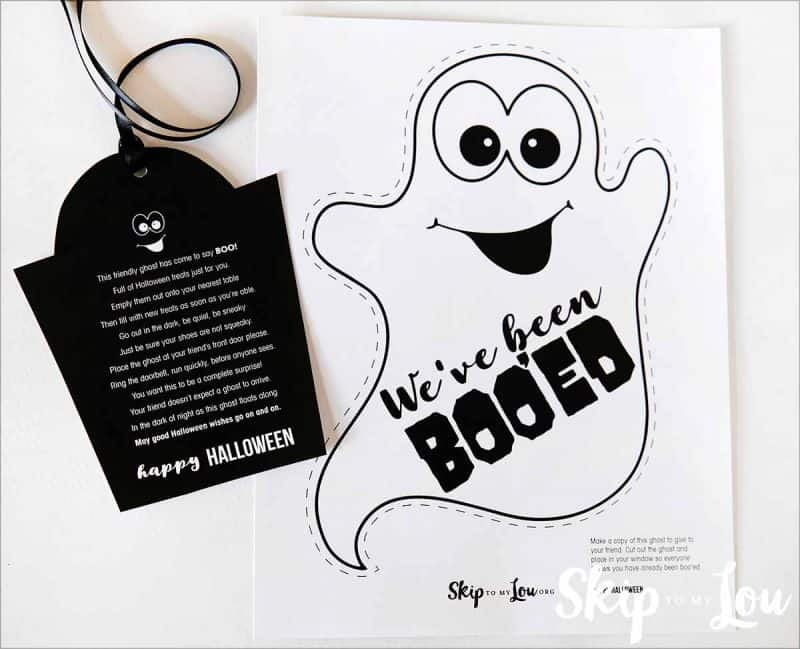 You’ve been booed halloween activity is one of our most loved Halloween traditions when our kids were younger. Now that they are older George and I have started our own adult booing tradition, “You’ve Been Boozed.” If you are lucky enough to have younger children be sure to use these BOO printables and have some family fun. Find a container that you can turn into a ghost. I found this white bucket in the Halloween section at our local dollar store. It says trick or treat on one side and on the other side I cut out black construction paper circles to make a ghost face. Download the files. Print one copy of the poem and the ghost. 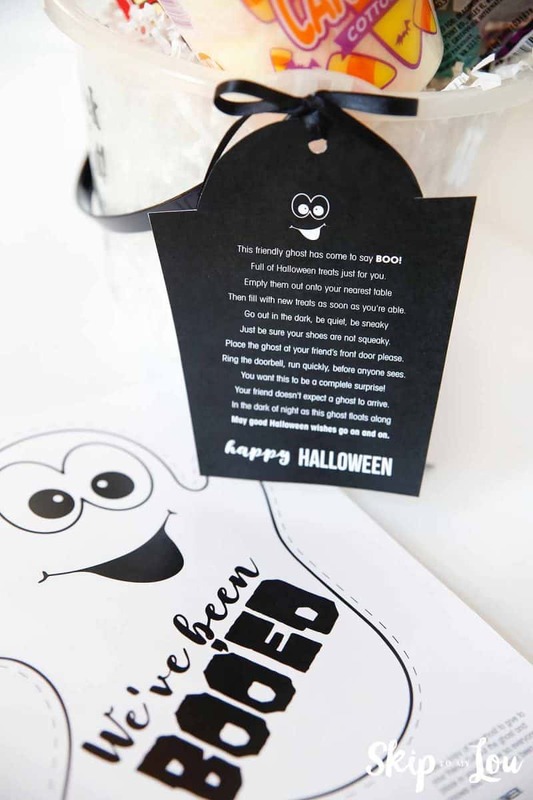 Cut out the poem and attach to the side of the ghost bucket. 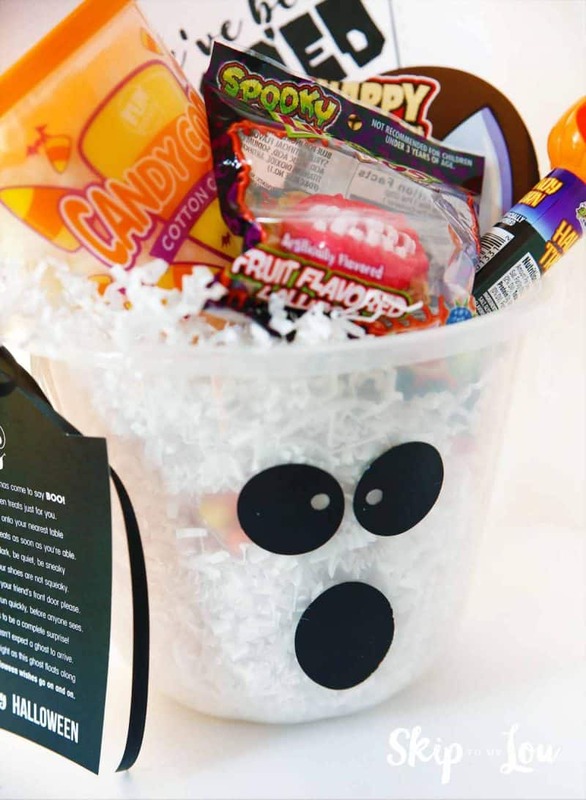 Place a ghost in the bucket for the recipient to hang in their window. This friendly ghost has come to say BOO! 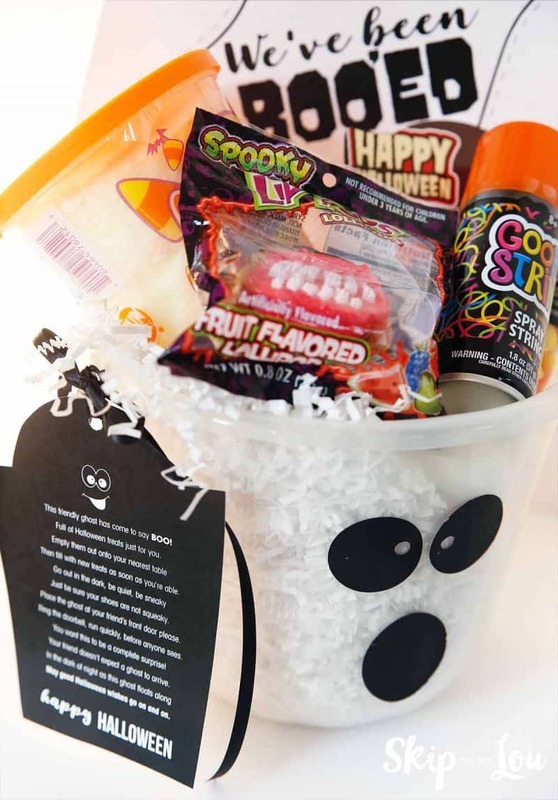 Full of Halloween treats just for you. Then fill with new treats as soon as you’re able. Just be sure your shoes are not squeaky. Place the ghost at your friend’s front door please. Ring the doorbell, run quickly, before anyone sees. You want this to be a complete surprise! Your friend doesn’t expect a ghost to arrive. May good Halloween wishes go on and on. 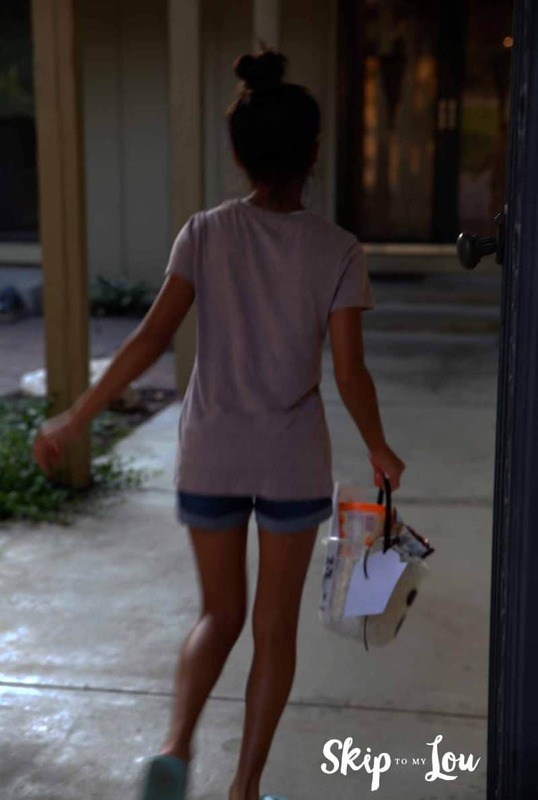 Wait until it is dark and sneak up to your friends house and leave the goodies. Have fun! 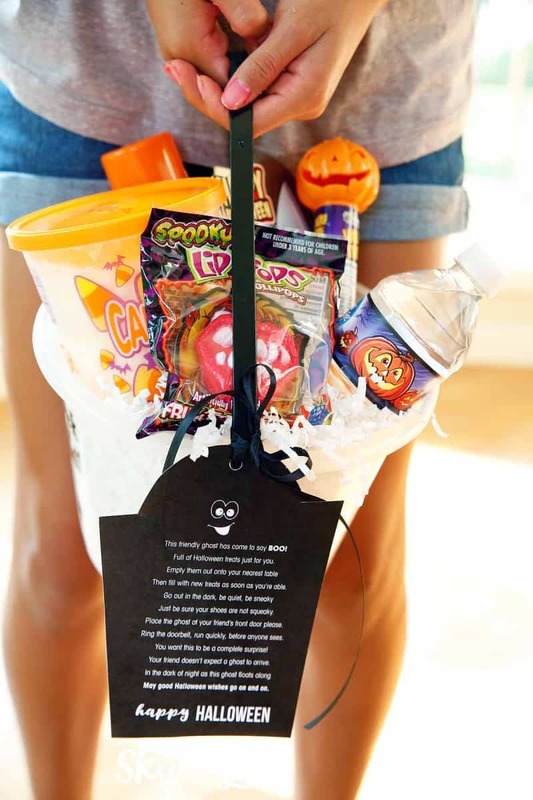 Looking for more fun ways to celebrate check out these fun Halloween Activities.